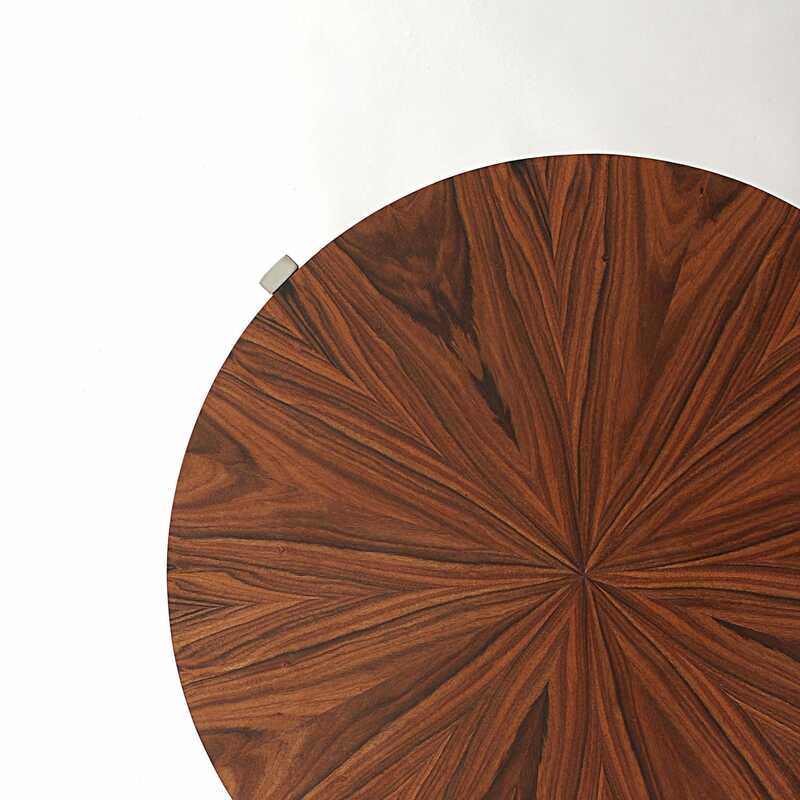 This table sober and truly elegant makes a great contrast in a room full of wood veneers. This modern piece of furniture can be a compliment to your living room and can revamp refined interiors like a contemporary bedroom. Broadway side table is handcrafted, made from rosewood, palisander or other type of wood veneers. 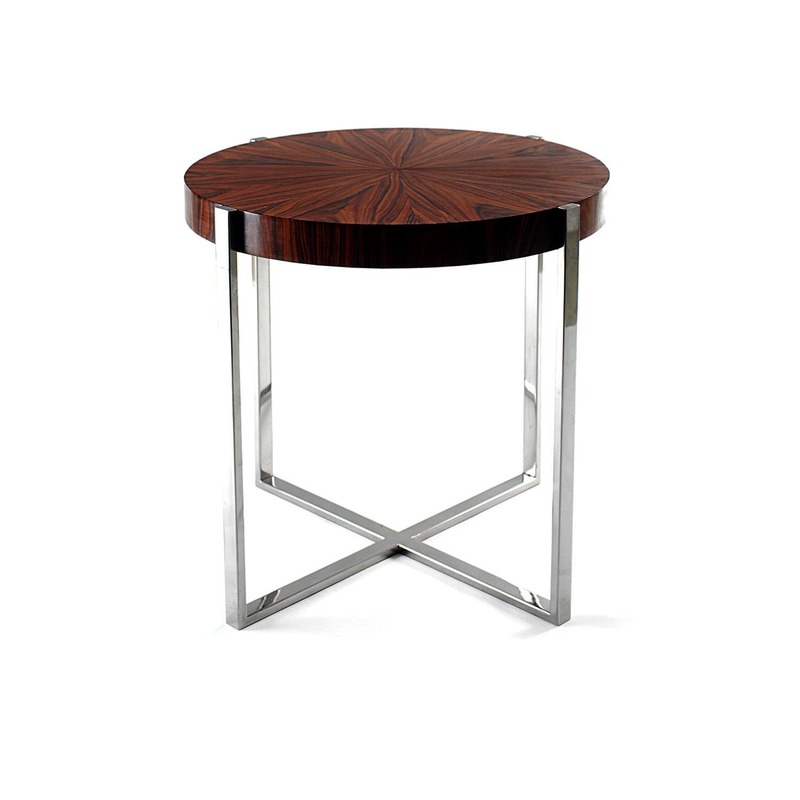 The tabletop is finished in lacquer, available in subtle veneer silver or gold leaf. The feet are in stainless steel.